What do you mean my electricity rates vary every month? Learn about the yearly energy cycle and how to get the most out of your energy dollar! 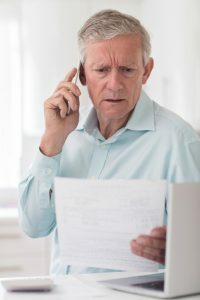 Recently, I was reading through some Ohio energy provider reviews and found several classic examples where customers made mistakes with their with their Ohio natural gas or electricity plans that wound up costing them more. In the interest of helping our other energy customers I’m sharing a few edited examples as common mistakes to show how other customers can avoid problems with their energy suppliers. Variable Rate Plans Have Rates That…Vary? The short answer— yes. Variable rate plans seldom require any notification of change in the rate on the bill. That’s because the plan summary notifies customers that the rate can change each month. Variable rate plans have prices that can go down or up or stay roughly the same. Of course, a sales person could conceivably say almost anything about future rates —but they don’t know for sure. After all, they’re not energy analysts, they’re in sales and that’s what they’re interested in. As you can see, the frustration and anger of these customers is understandable, especially since they don’t see that they did anything wrong. Variable rate plans in Ohio are really attractive to some customers. They’re usually month-to-month, no contract, no cancellation fee plans. Ohio electric providers often offer these with low introductory rates that are well below the wholesale price. Consequently, their cheap, no commitment nature usually distracts customers from giving them a closer look. And that kind of distraction can wind up costing them more. Both these customers seem to have discounted or ignored the main feature of variable rate plans. Variable rate plans will VARY from month to month depending on supply, demand, and weather. Usually, those low introductory price only last for the first month. Afterwards, the price goes up to the going market rate —which can be a LOT. The amount that energy rates change depends on the market price of electricity or natural gas in your state’s wholesale market. Consequently, sudden demand and price fluctuations during winter and summer can get pretty painful. The way to save money on your Ohio energy rates is to remember that energy prices follow a predictable yearly cycle and generally stay within a normal-ish range. You can even check out PUCO’s records of historic electric rates in your city to see when during the year that they spiked. Electricity and natural gas prices tend to dip in the fall and early spring due to lower demand. In fact, these “shoulder months” in fall and spring are the best times to shop for a cheap fixed rate energy plan. For that matter, don’t put off shopping until summer. Once May arrives in the southern states, summer heat begins increasing demand for air conditioning —BANG—electricity wholesale prices begin lifting your local Ohio electricity rates to the moon. In July and August, heat waves could spike the price to $.90 kWh. Remember that natural gas prices also rise because more power generators are burning natural. Because cooling demand drives energy prices higher, late summer is not the best time to shop for new energy plans. That’s why shoppers should wait until the fall to lock in a longer term rate. In our example, our first customer who complained about increases without notification seems to have signed on to the deal without fully understanding the plan’s plan summary. Plan summaries state the plan name, the price per kWh (or therms for natural gas), whether it has a fixed or variable rate, whether the rate is an introductory rate or not, the term or duration, and delivery charges. The terms of the plan summary IS part of the legal agreement between customer and company. Consequently, customers should always read and understand the terms of the plan summary before agreeing to the plan. If you agree to any plan, remember that you’re not trapped. Under the Right of Rescission in Ohio, you can cancel the contract within seven calendar days following the postmark date on the electric utility’s confirmation notice after you receive it in the mail. Now, variable rate plans are not inherently evil. Variable rate energy plans work best when customers know how and when to use them. They can be just the thing for customers who are who want a little extra time to compare electricity plans apples to apples to find the lowest fixed rate. Customers sign up for an introductory plan to power their home for a few weeks while they shop around and then switch when the end of the month comes. Variable rates can also be cost-effective over the short term during the “shoulder months” in spring time and autumn. No-contract plans are great when you’re trying to capture a great fixed rate deal while prices fall. However, you’ve got to pay attention to competing rates. That way you can switch to that fixed rate plan at just the right time. Otherwise, you could face paying a higher Ohio electricity rate. So stay vigilant! One of life’s best ways to learn is to make mistakes. By learning from these examples, I’m hoping that energy customers will be better able to understand what they can expect and need to do in order to avoid having problems with their energy suppliers.